Dream Pod 9: Congratulations Golden Gear 2018 Winners! 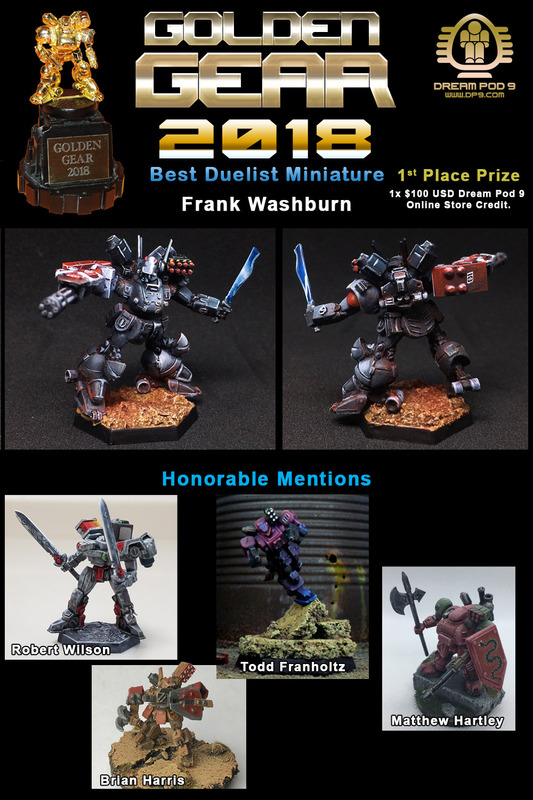 We took the time this week to judge our Golden Gear 2018 painting contest entries. 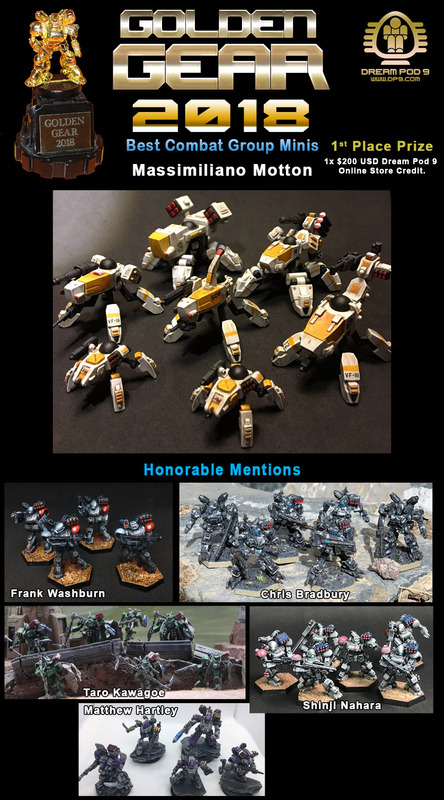 Dream Pod 9 Staff Robert Dubois, Alain Gadbois, and Philippe F. LeClerc picked their favorites and honorable mentions in each category (Best HGB Miniature, Best Duelist, and Best Combat Group) and results were tabulated. 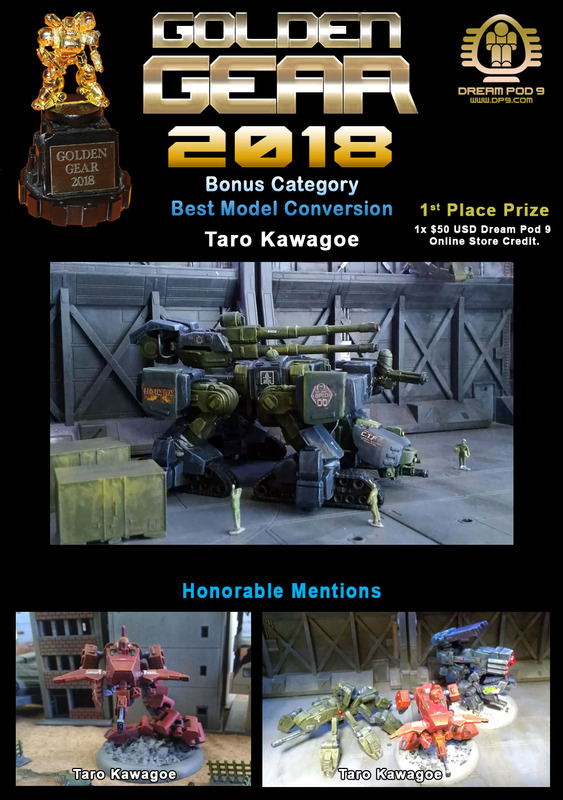 We also decided to create a new Bonus Category called Best Model Conversion to handle some amazing model entries. Checkout the 4 category graphics below, with photos of the winners and honorable mentions. You can checkout all the entry photos on our Golden Gear 2018 DP9 Forum Thread at the following link. A Big Thank You to all who entered and made Golden Gear 2018 a great success. 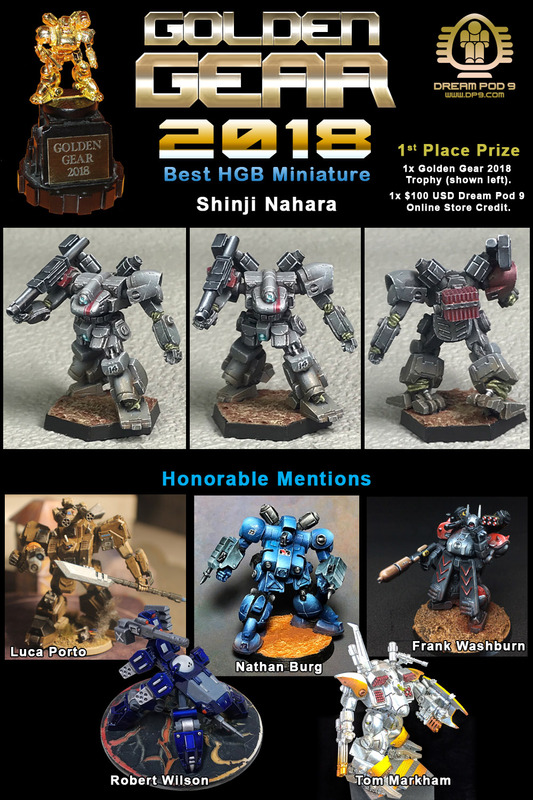 Home › Blogs › Robert Dubois's blog › Congratulations Golden Gear 2018 Winners!